Fudge is one of those sweet treats that I've always loved; my mouth waters at the thought of it and I could easily eat a whole box of the good stuff! 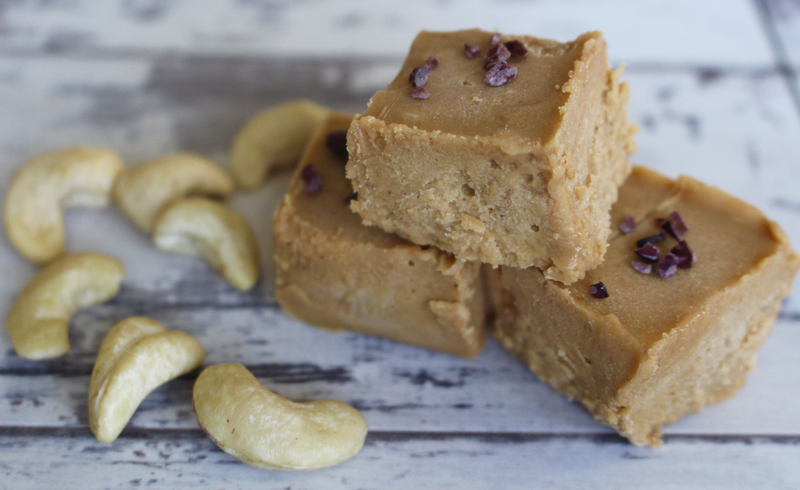 It's something I have really missed since going dairy free and embarking on a healthier lifestyle but no-more as I have created the most incredibly creamy, smooth, sweet & delicious fudge recipe that's 100% natural, refined sugar free, vegan and only contains 4 ingredients - you're welcome! 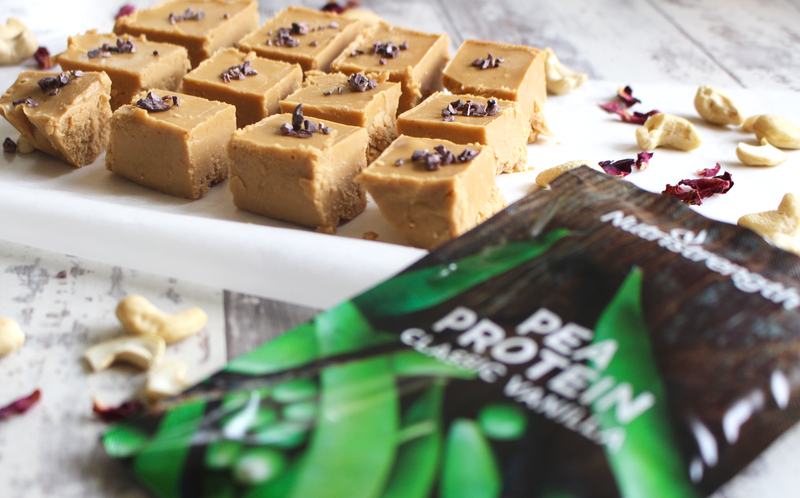 I used Nutristrength Vanilla Protein Powder in this recipe which adds something really special - a yummy sweetness, that familiar vanilla flavour and a protein hit too! 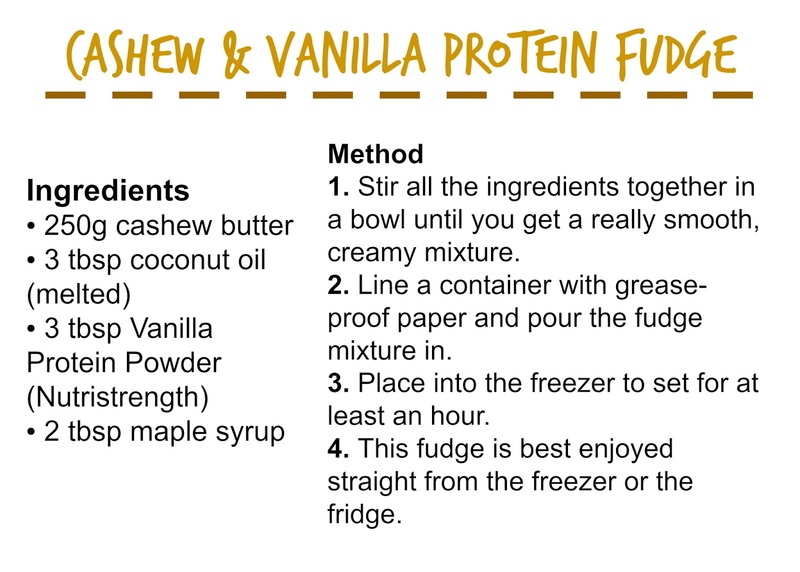 Nutristrength is one of my favourite brands for protein powders and this flavour just seemed perfect for the fudge recipe. 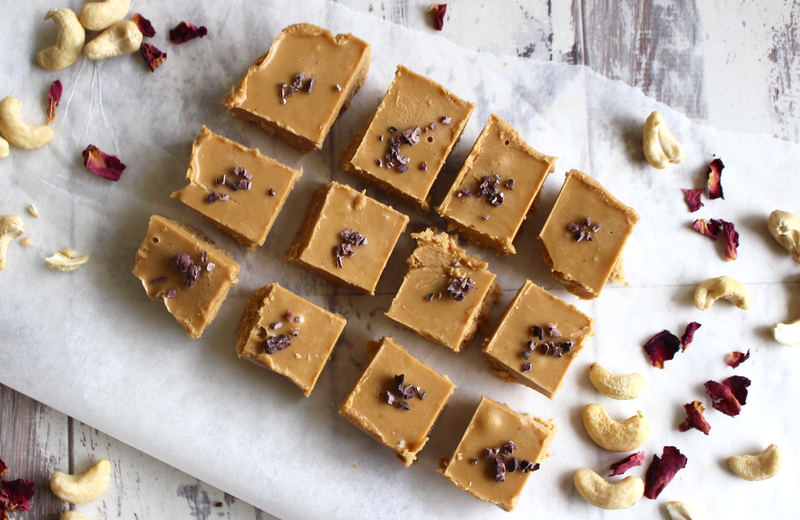 This unbeatable fudge recipe is made using cashew butter, coconut oil, Nutristrength vanilla protein powder and a little maple syrup - that's it! It couldn't be simpler, you just combine all the ingredients and let it set in the freezer for an hour or so then the result is the creamiest fudge that just melts in your mouth! I used Nutristrength Vanilla Protein Powder because it has such a natural vanilla flavour (unlike some protein powders out there!) 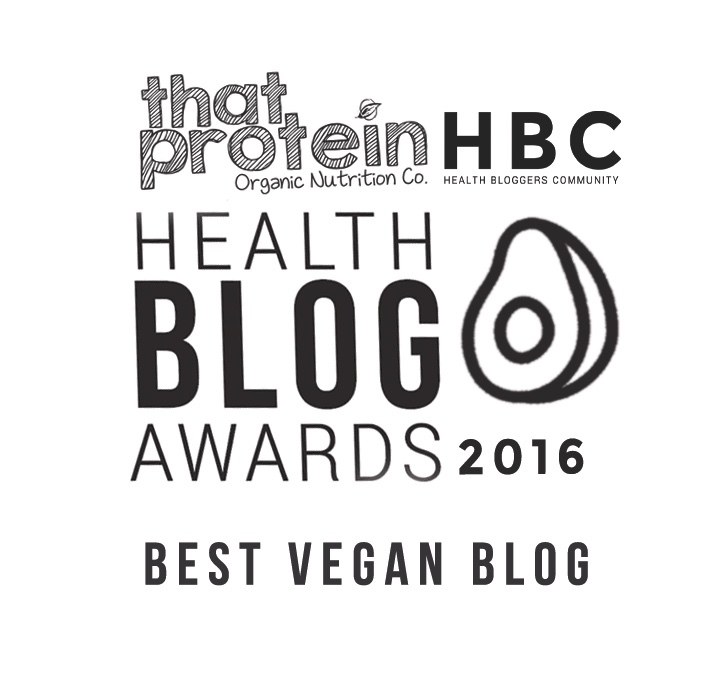 and contains only natural ingredients - it's a pea protein which means it's vegan too! 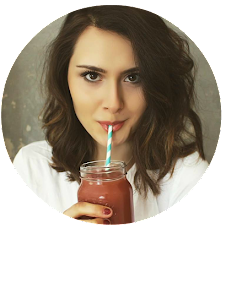 Nutristrength protein mixes perfectly into this recipe too as it's super fine and not at all lumpy - I'd highly recommend it if you're after a fab quality, inexpensive, tasty vegan protein powder. I add it to everything from smoothies and porridge to energy balls and pancakes and now fudge too!